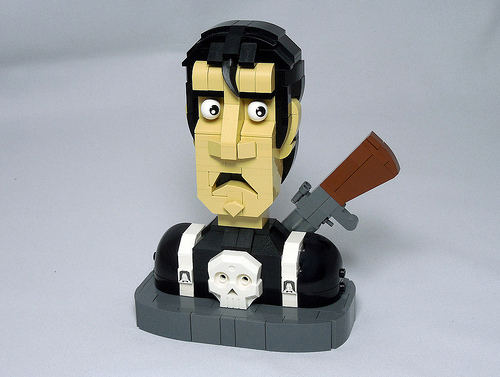 Looking a bit like Bruce Campbell, Letranger Absurde‘s iteration of The Punisher looks great. 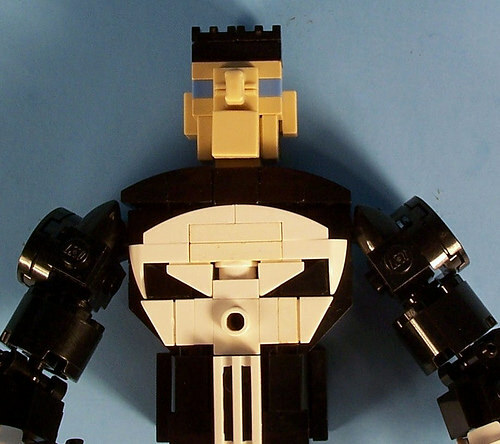 I love the repurposed Galactic Empire Jetpack printed tile for strap buckles, and the binocular gunsight and minifig leg trigger work perfectly to create one of the many guns in Frank Castle’s arsenal. 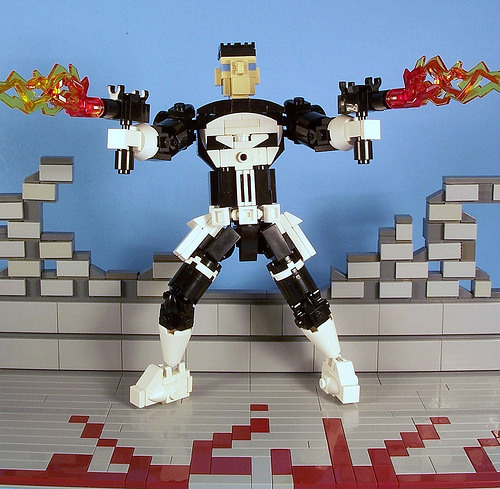 And finally, I think this is the best use of the Jack Stone skull piece I’ve seen. Kevin Ryhal engages in a little Castle-building… Frank Castle, that is. For anyone who doesn’t know (and who’s been living under a rock and missed Daredevil Season 2) that’s the real name of the hardcase vigilante known as The Punisher.